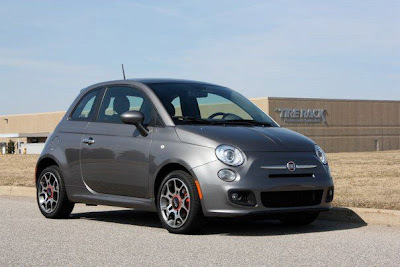 Now that the Fiat 500 has arrived and are flying out Fiat dealers doors, owners have already begun looking for ways to personalize their 500s. 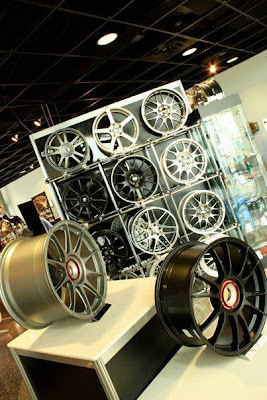 A popular place to start is with a set of new wheels. But, as of now, there haven't been many wheels available for the 500 in this country. 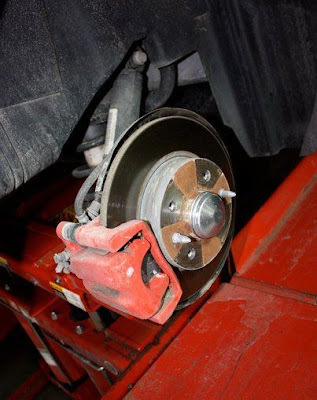 Well, stay tuned, because Tire Rack has got you covered! 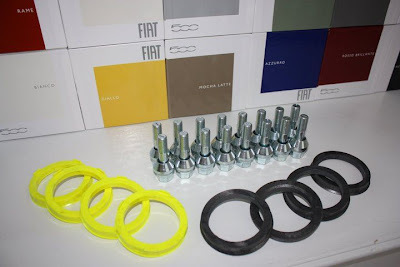 That's right, Tire Rack has wasted no time getting a line of accessories together for the Fiat 500. Jiyan wrote: "I'm at Tire Rack now and the guys are running a full digital measurement of the wheels and wheel wells to determine what exactly will fit our Fiats." 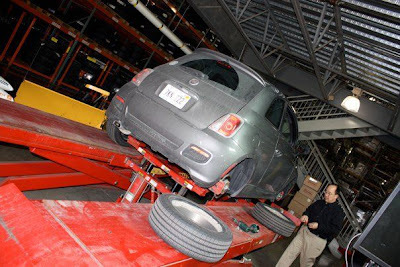 Last week, a friend to Fiat owners everywhere, stopped by Tire Rack headquarters in South Bend, Indiana, to have his car measured for a set of wheels. The resulting measurements are being used to accurately calculate what wheels will fit the Fiat 500. The great news is Tire Rack expects to have them up on their site shortly, possibly later this week. Let's thank our friend Jiyan for getting this done for us! 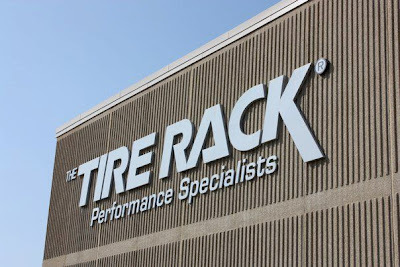 Keep checking Tire Rack's Website! I hope they make 16 in and 17 in tires for the sport model that look like the Lounge premium tires...those wheels are very classy. "...are flying out Fiat dealers doors..."
The dealers I've talked to our selling their cars and some are selling out of what they've already received. They are also taking orders for cars people haven't even seen. Does that mean it should be easy now to find winter wheels (steel+winter tires)?